We offer highly appreciated range of Polyester Screen Cloth which is used in various industrial application. These polyester screen cloth is suitable for screen printing because of its tensile strength, elastic memory and resistance to chemicals, abrasion heat and moisture. Due to our immense capability in this work domain, we have brought forth a huge variety of Polyester Screen Printing Mesh. We are engaged in offering a unique and best quality range of Polyester Screen Printing Fabric. These products can also be customized according to the details specified by our valuable clientele. 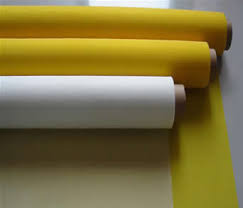 These polyester screen printing mesh or fabric is suitable for screen printing because of its tensile strength, elastic memory and resistance to chemicals, abrasion heat and moisture. We fabricate and supply high quality Polyester Screen Cloth to our customers. The clothing material that we offer is exclusively used in various industrial applications. Clients appreciate our polyester screen cloth for its tensile strength and elastic memory. We are a top notch supplier of Polyester Screen Meshes. Our reputed entity is engaged in supplying Polyester Screen Printing Cloth. We are engaged in offering Polyester Screen. 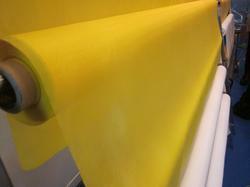 In order to meet excellent quality standards, we are supplying Polyester Screen.